BIJOU @ Pasir Panjang is located right at Pasir Panjang MRT, where all vibrant activities happens. Pasir Panjang benefits as part of the master plan for new Singapore waterfront.The idea of creating decentralised hubs outside of our city centre may seem strange given our size, butthese commercial hubs developed over the years have become centres of attraction for work, shopping and other activities. After the relocation of the existing City Terminals and Pasir Panjang Terminal, waterfront land will be freed up respectively. The land will subsequently be redeveloped to provide new commercial and housing developments By 2030, it’ll be easier to get around using the Cross Island Line, Thomson Line and the new North-South Expressway.Within the regional hubs, there are plans to start community bus services, which will operate during specific periods of the day.Pasir Panjang area will transform significantly and this is where BIJOU condo stands out to be your Star-buy property! 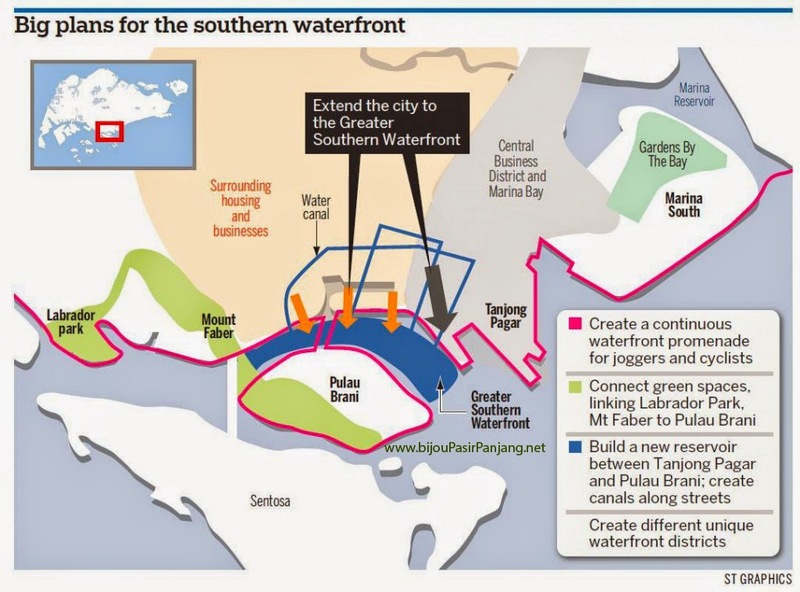 The other commercial belt is the Southern Waterfront City – from Marina Bay along the waterfront from Keppel, through Telok Blangah to Pasir Panjang Terminal. It’ll have more commercial and housing developments after 2027. BIJOU- which located next to Pasir Panjang MRT - will be atrractive for all kind of traffic - either retail or residential. Making an investment is not an easy choice ! As an astute investor/home buyers, doing a due diligence of research the property is a must. Finding the growth potential of the area is one of biggest challenge. At Bijou @ Pasir Panjang, this is not an challenge anymore. Welcome !